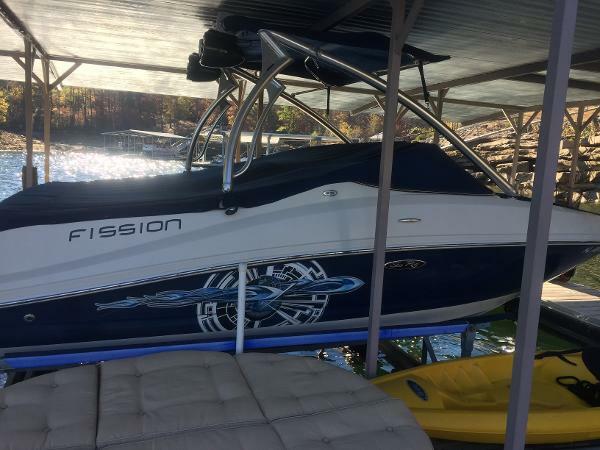 Seller states that the boat is in great condition, only 161 hours & only ever used in freshwater and kept covered when not in use. No rips or tears in upholstery, clean and very well maintained. Hull in great shape, no scratches or dings. 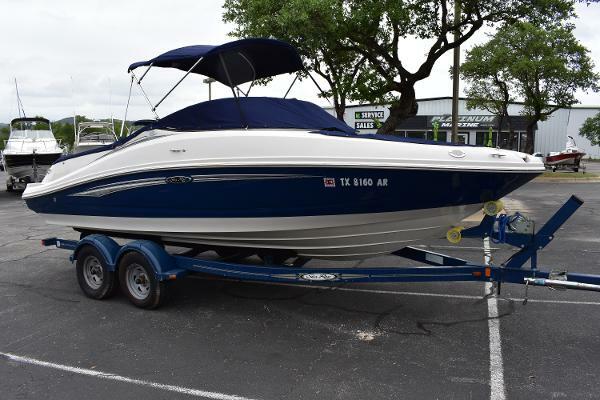 Stock #163808 FRESHWATER ONLY BOAT! 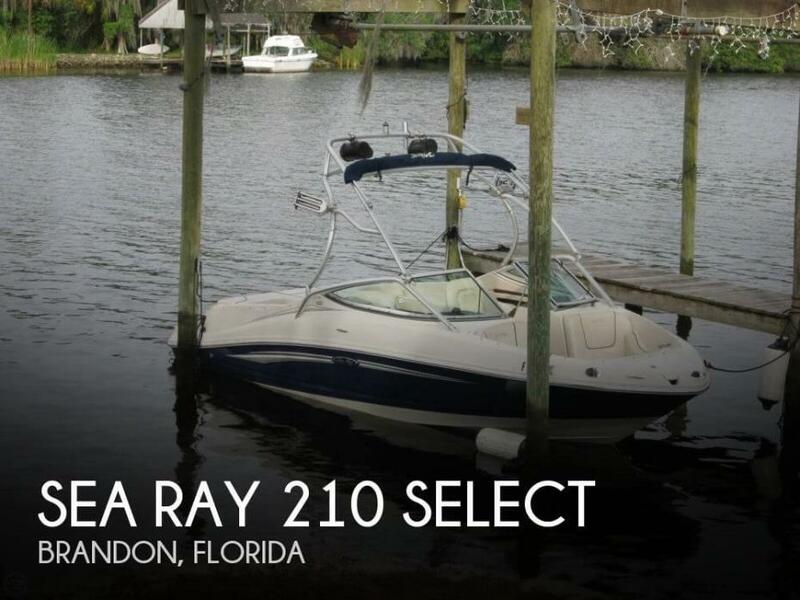 21 ft. Sea Ray 210 Select in GREAT shape. ONLY 161 HOURS! Mercruiser 5.0 If you are in the market for a bowrider, look no further than this 2008 Sea Ray 210 Select, priced right at $26,000 (offers encouraged). This boat is located in Booneville, Mississippi and is in great condition. She is also equipped with a Mercruiser engine that has only 161 hours. Reason for selling is upgrading. 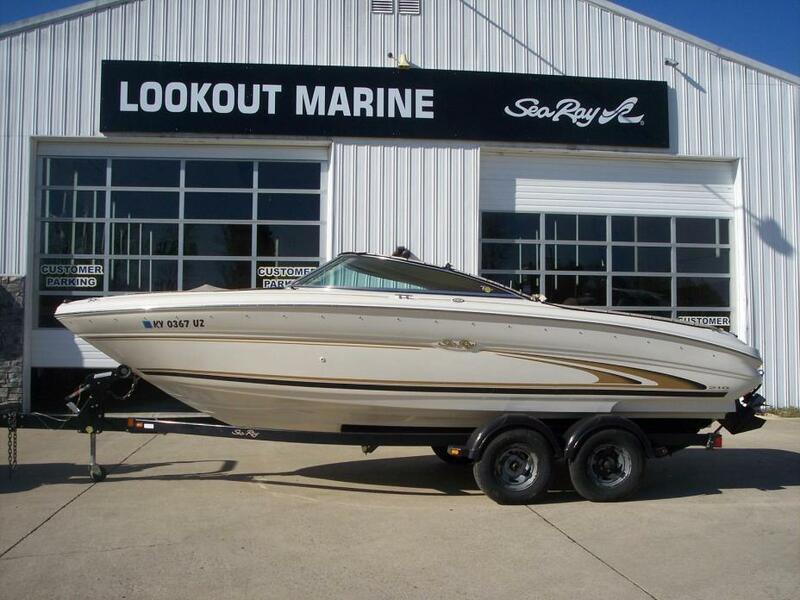 This 2007 Sea Ray 210 Select is in excellent overall shape according to the owner. 5.0L Mercruiser engine appears to be in good shape and very clean. Bimini top appears to be in excellent shape and all canvas appears good. 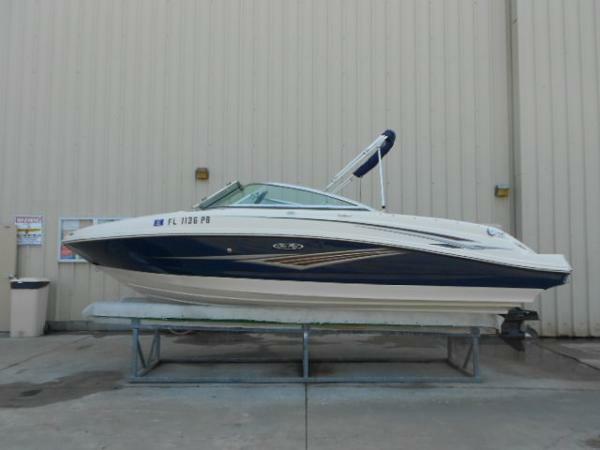 Stock #163807 Excellent condition, mercruiser, wake tower, clean, well maintained! 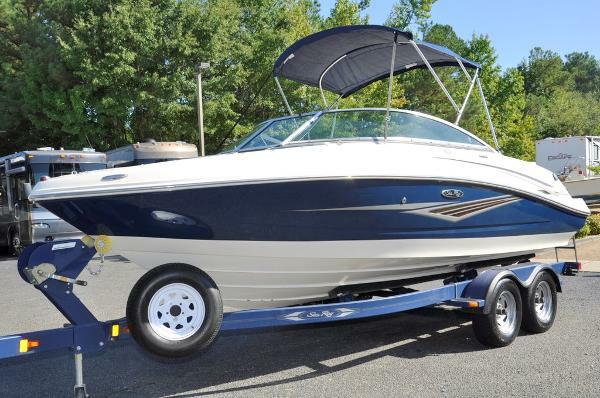 If you are in the market for a bowrider, look no further than this 2007 Sea Ray 210 Select, priced right at $23,500 (offers encouraged). 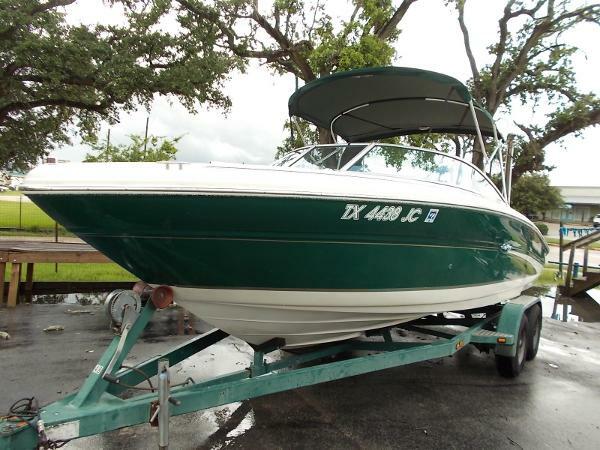 This boat is located in Leander, Texas and is in great condition. She is also equipped with a Mercruiser engine. Reason for selling is no longer use. Mostly used in freshwater river with some runs out to Tampa Bay. Kept on trailer in storage lot now. Some small tears in the seats(see pictures). Clear gauges. Seller must liquidate ASAP so don't hesitate submitting any reasonable offer. Stock #049399 Fold-down wake tower, room and seating for 8, low hours, trailer included. 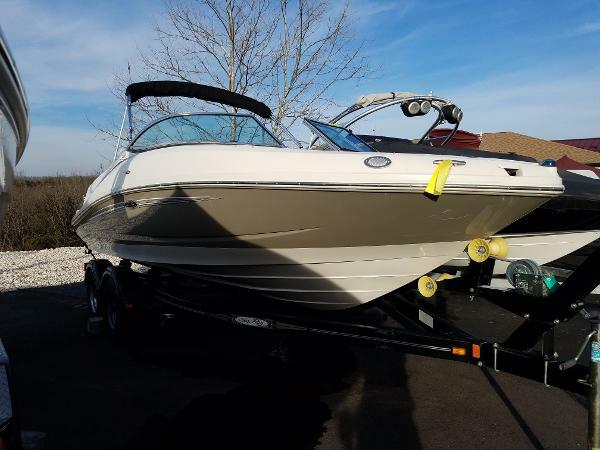 Must sell ASAP If you are in the market for a bowrider, look no further than this 2008 Sea Ray 210 Select, just reduced to $16,900 (offers encouraged). 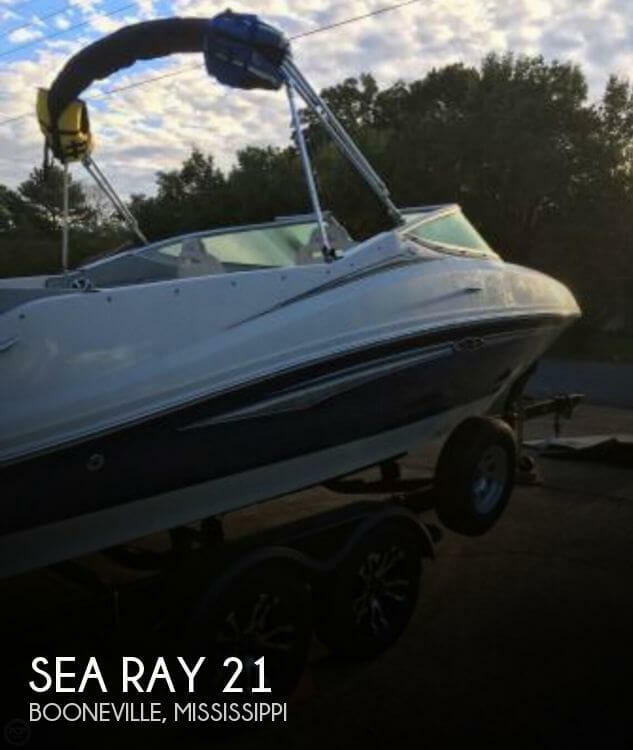 This boat is located in Tampa, Florida and is in decent condition. 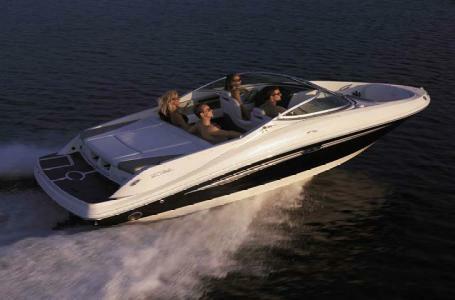 She is also equipped with a Mercruiser engine that has 351 hours. 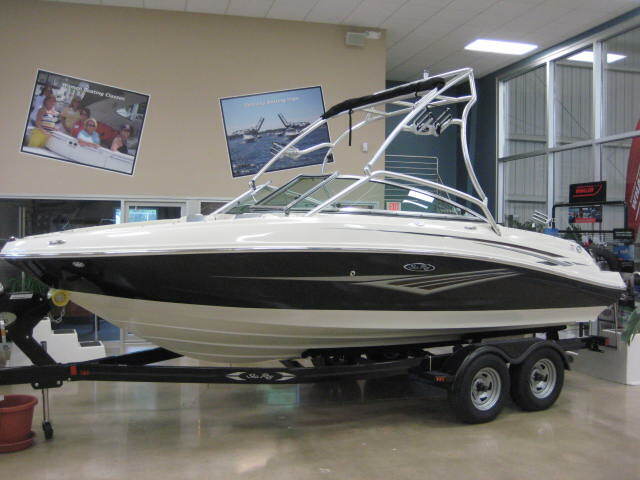 2007 Sea Ray 210 Select More than just talk, the 210 Select is all action and comfort! 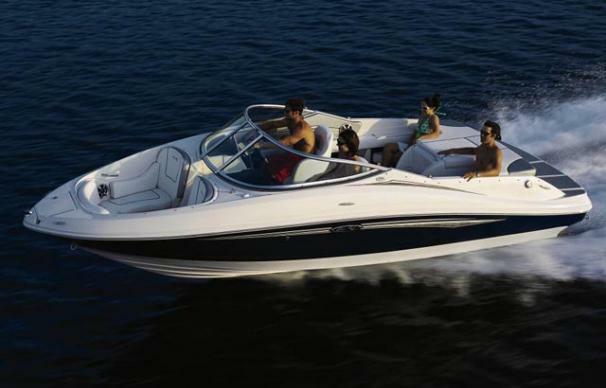 The variable seating options are the best on the water, and include Sea Ray's innovative convertible aft sunpad lounger, which makes this boat the sun-lover's choice. This power-driven 210 select comes with a 5.0L (260 hp) MPI standard engine, matching trailer with swing-away tongue and surge brakes. 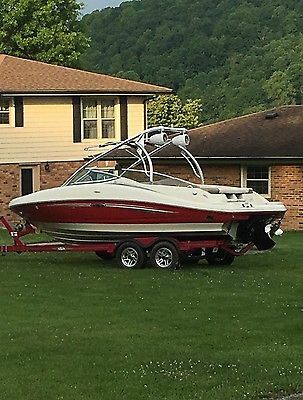 2008 Sea Ray 210 Select 2008 SEA RAY 210 SELECT W/ TRAILER LESS THAN 110 HOURS VERY GOOD COND CLEAN LOW HOURS JLAUDIO SOUND 5.OL MPI ENGINE 2 BATTERY GEL NEW MIRAGE PLUS PROPELLER 19 FINANCING AVAILABLE!!! 2007 Sea Ray 210 Select 2007 Sea Ray 210 Select! This boat is practicaly new! Only 86 original hours and in fantastic shape! 5.0 Mercruiser V8 and Mercruiser Alpha. An absolute must see! 1999 Sea Ray 210 Select 1999 SEA RAY 210 SELECT W/5.0 V8. SERVICED. TWO NEW BATTERIES, S.S. PROP, STEREO W/AMPS/SUBS, TWO REMOTES, TWO COVERS, ON BOARD CHARGER, TABLE, FILLER BOW CUSHIONS, BIMINI TOP, AND DEPTH SOUNDER. CUSTOM TRAILER. WATER READY. 2010 Sea Ray 210 Select Beautiful 21 Foot Sea Ray with 5.0L Multi Port-Injected Mercruiser Engine Mated to a Mercruiser Alpha 1 Drive with Stainless Steel 3 Blade Prop (not pictured). She Comes on a Matching Tandem Axle, Folding Tongue, Painted Trailer. Offering a Large Rear Sun Pad, Rear Bench Seating, Comfortable Captains and Co-captains Pedestal Seats and Large Cushioned Open Bow Seating. Bimini Top with Boot, Large Open Swim Platform with Non-skid Matting, Snap in Carpeting Throughout, Large Mid Deck Storage Locker. Full Instrumentation Cluster with Speedometer, Tachometer, Oil Pressure Gauge, Engine Temperature, Fuel Gauge, and Trim Indicator. Sony Marine Stereo with Speakers Throughout the Vessel as well as Helm Remote. Only 136 Hours on This Family Friendly Boat. 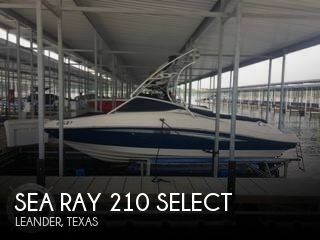 2010 Sea Ray 210 Select - NEW ARRIVAL!!!! Model 210 Select - NEW ARRIVAL!!! !